Next scheduled meeting will be April 11, 2019 at noon in Room 114 at Salem Community High School. 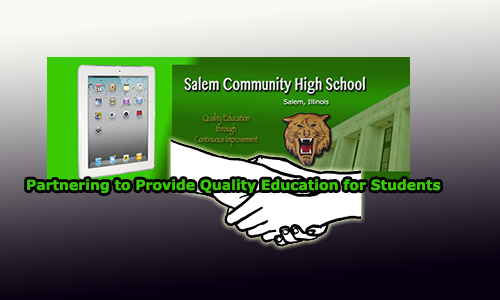 Visit www.goodsearch.com, enter Salem Academic Foundation in the box "Who do you goodsearch for?" A donation is received by the Foundation for each search done through this site. All donations made to the SCHS Academic Foundation are tax deductible.